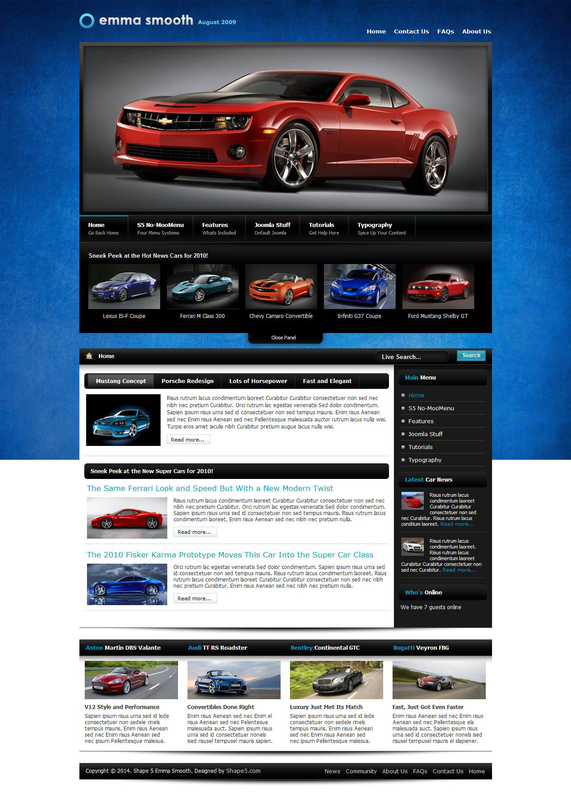 S5 Emma Smooth - template for Joomla 1.5. If you need a template for a news site or a portfolio, the S5 Emma Smooth is the best choice! This template focuses on imagery and adding articles. It is easy to show multiple photos in a large area of ​​the header. S5 Emma Smooth released in conjunction with the new S5 module responsible for the display of pictures in the news. S5 Emma Smooth comes preset with all the comprehensive capabilities - custom width columns own background, you can choose your own highlight color 4 style design, module news lines, S5 Live Search, and more!